Rabies is something that most people are aware of but may not know the full details and risks that this disease holds. At Walk In Travel Clinic, we would like to clear up the misconceptions that surround the disease and hopefully give you a more clear insight into what you should be aware of regarding Rabies, especially when travelling. Rabies is present in all continents of the World, except for Antarctica, with over 150 countries and territories being affected. This infectious viral disease is almost always fatal with over 95% of human deaths occurring around the regions of Asia, Africa and Central and South America. It is not found in the UK except for in a small number of wild bats. Although up to 99% of cases involve domestic dogs transmitting the disease to humans, rabies can still affect both domestic and wild animals. The virus can be spread by any wild or domestic animal, including bats, by a bite, scratch or through saliva. Unfortunately, rabies seems to be a neglected tropical disease that predominantly impacts poor and vulnerable populations living in remote and rural areas. Human vaccines and immunoglobulins are effective for rabies, however, they are still not available to everyone that needs them. Because of this, if you are travelling you should always ensure you are protected against the disease, as it is common in a number of areas around the world. The risk of catching rabies is actually increased through exercise such as cycling and running. A more obvious risk is for those who may be volunteering or visiting animal sanctuaries and although it may seem obvious, the longer your stay is, the higher the risk of you getting the disease yourself. Sadly, children between the ages of 5 and 14 years are a frequent sufferer of rabies and if you are travelling with children, you should always be vigilant. Because children are more likely to touch the animals, they may not even notice if they have done something to attract the disease, therefore, they are unlikely to tell you about it. If an animal does somehow bite, scratch or lick open skin, the area/wound must be flushed under a running tap for several minutes and then washed with soap/detergent as soon as possible to attempt to remove the saliva from the infected area. Disinfectant or an iodine solution should then be applied to the wound followed by covering the area with a bandage or dressing. Urgent medical assistance will need to be sought, even if, in your opinion, the wound or area is seemingly insignificant. 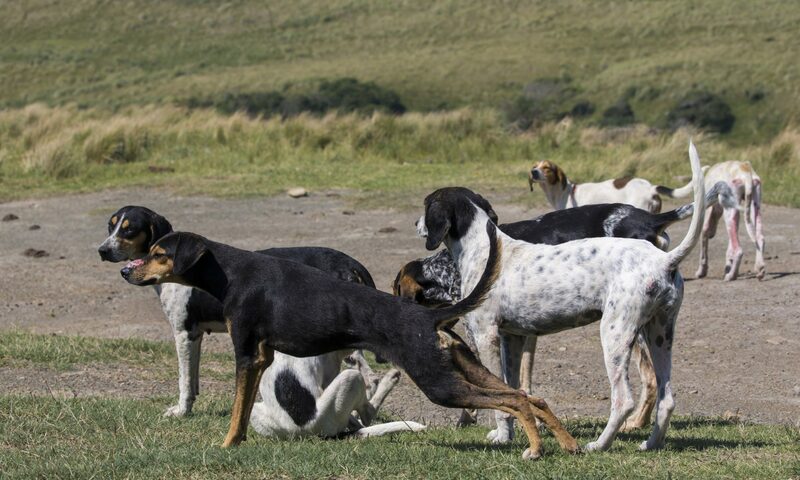 For travellers who have previously had their full pre-exposure vaccine, if they have been exposed to an animal bite, scratch or lick, they will still need to receive post-exposure treatment in the form of another vaccine. Once these symptoms occur, rabies is almost always fatal. This is why you should seek help as soon as possible. It is important to ensure that you have your full course of the appropriate travel vaccinations to prevent rabies from occurring, before you travel. If you suspect that you or someone else has been exposed to the forms of contact discussed with an animal, you should do your best to clean the affected area immediately and seek professional medical help as soon as possible following this. You should always be wary of animals, both domestic and wild when travelling. Avoid contact with them and act quickly if you are affected by any animal whilst travelling. Are you travelling soon? Have you had all of the travel vaccinations you need? You can have a read of our free travel advice, or if you live in the Oxfordshire area and would like assistance, you can visit one of our vaccination travel clinics. You can book an appointment and be seen at the earliest convenience. Traveling to Indonesia? Here are the top locations you should visit.